Spacious 1st floor room with 12-foot ceilings and original plaster details—crown moldings, decorative corbels, and ornate ceiling medallion. The color palette is royal blue and gold. 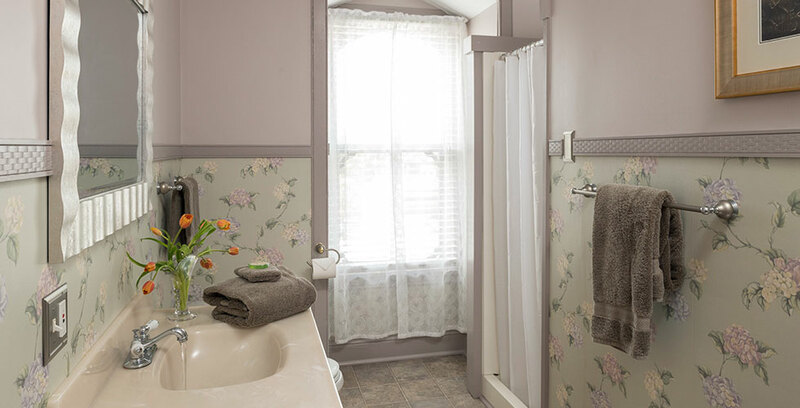 This room has two beds; its bathroom was recently renovated and features a large, tile shower. The perfect room for those who want to avoid stairs, or who prefer separate beds. This room has an assigned, on-site parking space. A taste of Morocco at the Jersey Shore! 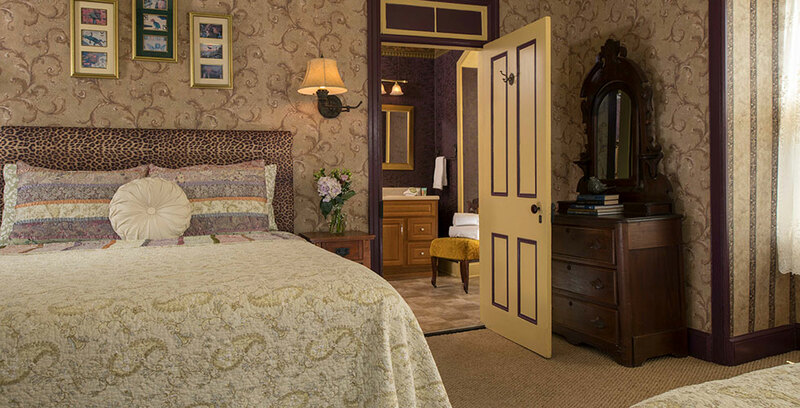 This 2nd floor room was the first to break away from traditional Victorian décor, and has proven to be a guest favorite. This room is decorated in classic black & white, with peacock blue and sea green accents. The bath has a modern tub/shower combo. This room has an assigned, on-site parking space. 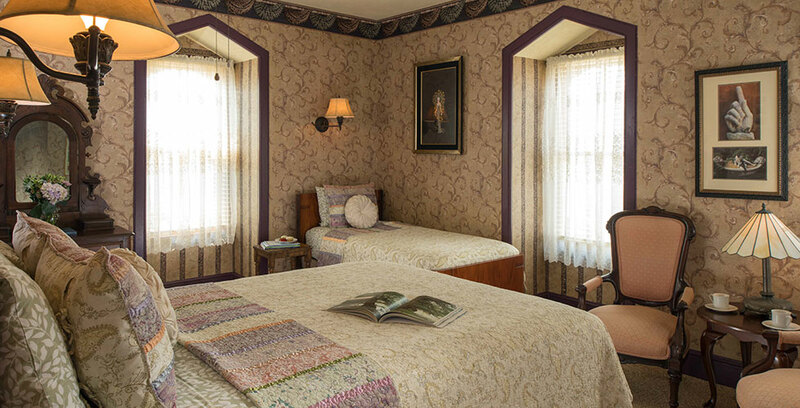 Without a doubt, our most popular room! 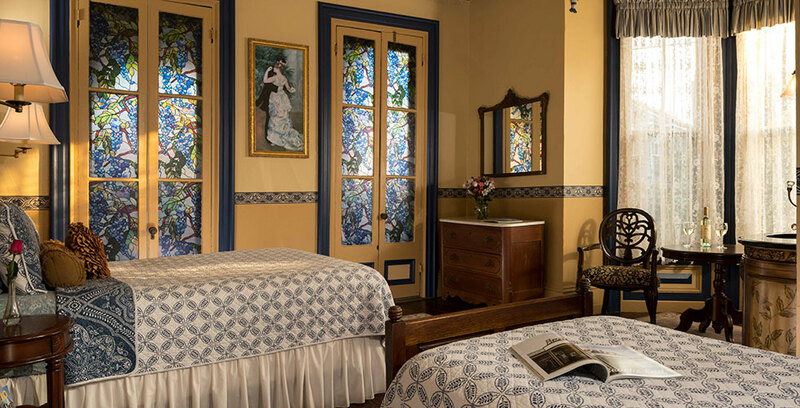 This large 2nd floor room has an ocean view from its porch, accessed through 10-foot tall French doors. 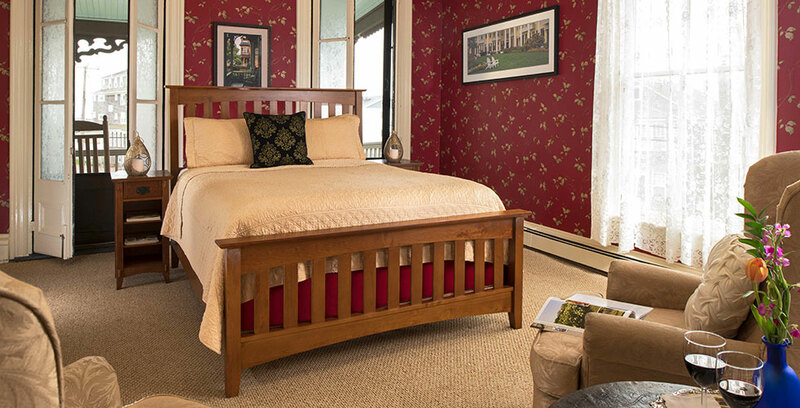 The color palette is Chinese red with black and gold accents. 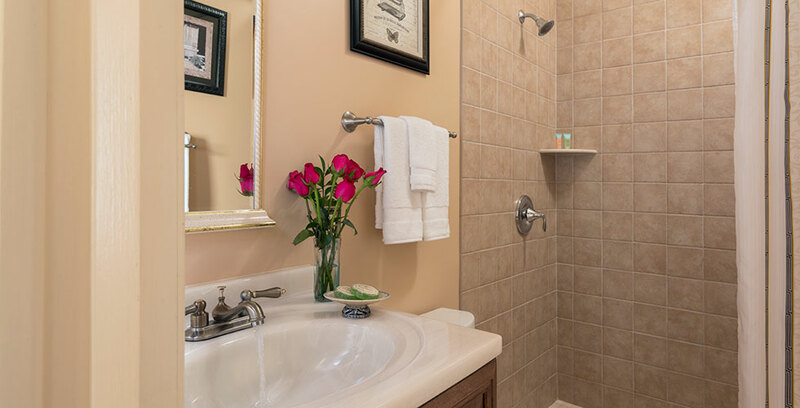 The recently renovated bathroom features a large custom tile shower. 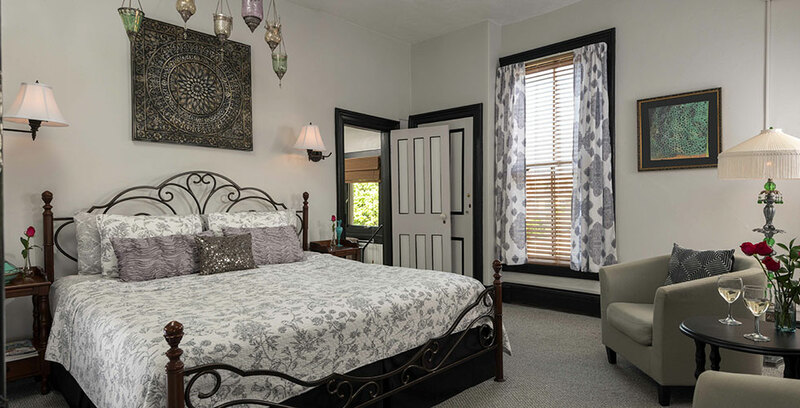 The porch is accessible only to those guests in Room 8 and Room 10, so to protect the privacy and ensure the comfort of the guests in these two rooms, we kindly request that you do not bring family or friends up to “share” your porch. This room has an assigned, on-site parking space. 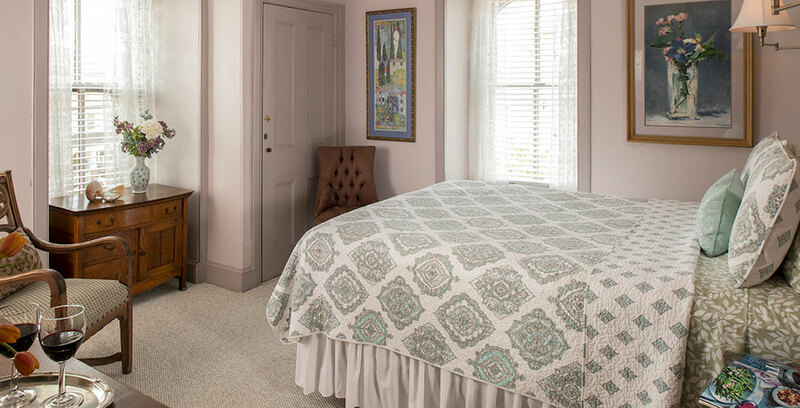 Catch a glimpse of the ocean from this 3rd floor room, painted a soothing pale lavender. Three dormer windows afford lots of afternoon light. 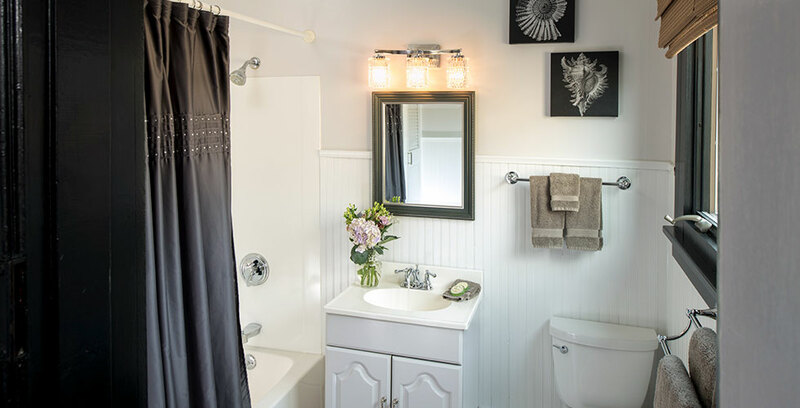 The large bathroom has just a shower, but lots of room to spread out. This room has an assigned, on-site parking space. 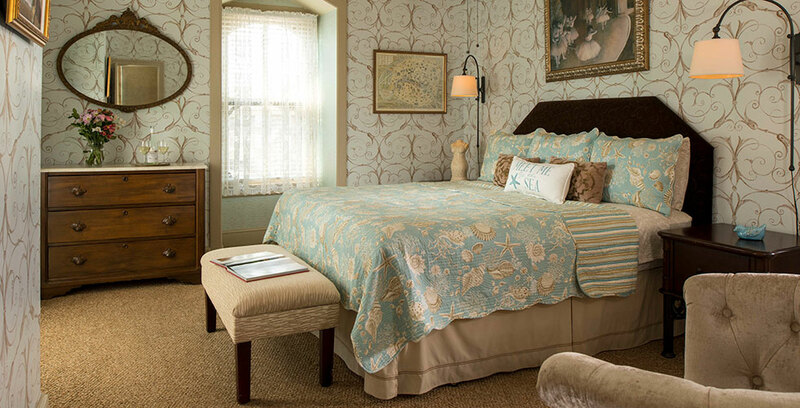 This bright 3rd floor room, decorated in soft French blue with a king-size bed, has an ocean view from the front window. 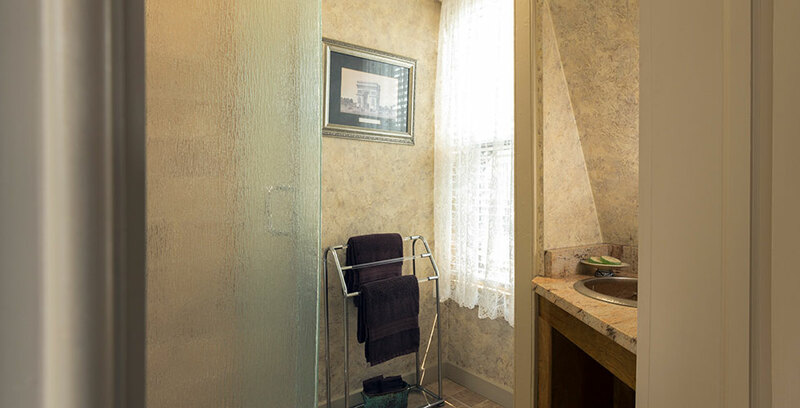 Vince designed the bathroom’s custom-cut rose granite countertop, with hammered copper sink, cleverly recessing it into the dormer to conserve space. This room has an assigned, on-site parking space. This 3rd floor room has ocean views from the bedroom as well as the bathroom. The color palette is burgundy and gold, and cat lovers appreciate the framed photographs of “I Gatti di Roma” (The Cats of Rome), a souvenir of one of Leslie’s trips. 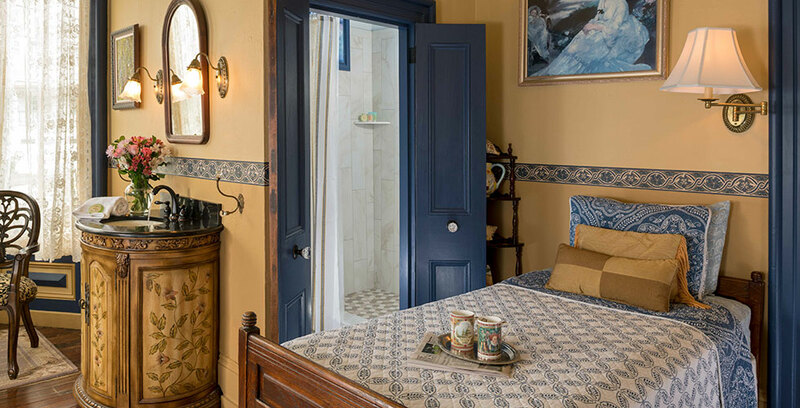 This room has two beds and is a ladies’ favorite, with its spacious bathroom, gilded clawfoot tub, and large vanity with lots of space for toiletries. This room has an assigned, on-site parking space. 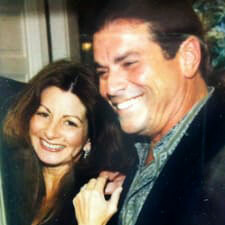 Leslie relocated to Cape May after 10 years in southern CA where, despite holding a B.A. in Music, she was program manager in a small defense electronics firm. Magically, however, her multi-tasking skills, modest computer literacy, organizational ability, and a mild form of obsessive-compulsive disorder make her an ideal behind-the-scenes administrator. (And she's a great cook, too!) She speaks a little French, and loves to travel. Vince is a Cape May native. In former lives he was a room service captain for Harrah's Casino, cook on a commercial scallop boat, landscaper, and Cape May's best paperhanger. Clearly this makes him ideally suited to his current roles of front-of-the-house manager, concierge, handyman —you get the idea! His passion is surfing, though, and he's traveled the world pursuing waves. Ask him about his favorite spots. Website design by Cape Publishing Inc.